Chhattisgarh Police Constable GD Recruitment 2018 CG Police 2258 Constable GD Admit Card / Result/ Merit List/ Call Letter 2018 - www.cgpolice.gov.in. Latest news on 3rd September 2018- Chhattisgarh police constable trademan written exam admit card has been released now. This admit card has been available for driver 133 post. The date of trade test has been mentioned in the admit card the link to download admit card is given here for the convenience of candidate. The candidates can download their admit card by using their roll number provided on the call letter given for the written test. The good news is that Chhattisgarh Police Department has released admit card for written test scheduled on 24th June 2018 on official website. You are required just your registration number in order to download online admit card. The date, time and venue of exam will be mentioned in the admit card with some exam instructions. Read these all instructions before appearing to exam. Affix the same photograph as provided in the admit card on the column provided on the admit card. The good news is that chhattisgarh police department has released physical test admit card in official website for the physical test which has been scheduled to be organized in the month of June 2018. The date, time and venue physical test has been mentioned on the admit card. 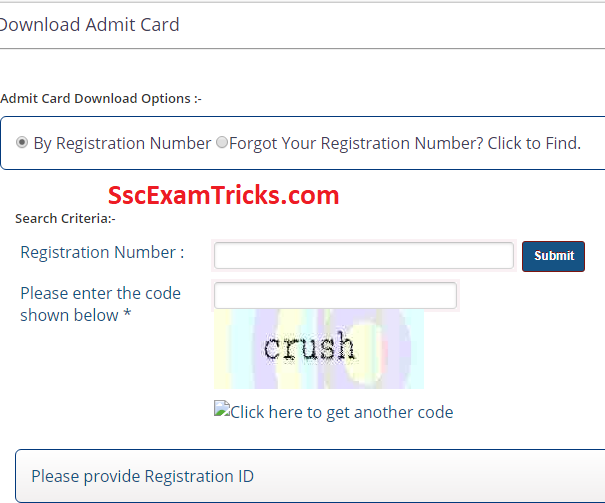 The direct link to download admit card is provided in the end of the page. What documents are required to download Chhattisgarh police constable physical test admit card 2018? You are required to provide your registration number and enter the image provided in the box. *The registration number is provided on the printed application form submitted for Chhattisgarh Police Tradesman 2018. The medical examination will be conducted by the department in which all the medical requirements will be examined. Then an approval will be provided for document verification. Chhattisgarh Police Department has uploaded notification for recruitment of Constable (GD). A total of 1786 vacancies have been released which will be filled through online mode of applications. The online applications are invited from 26.01.2018 to 15.02.2018 on official website www.cgpolice.gov.in. The final selection will be made by evaluating performance in written test and physical efficiency / standard test. · Physical Efficiency/ Standard Test. · Select the applied for posts from the drop down list. Select ‘district’. Select Exam Centre, tick ‘I Agree’ button. · Enter the basic information like name, DOB, Gender, F/M name and upload photograph. Enter Address & Contact Information and declaration details. Enter the captcha code and press the submit button. Chhattisgarh Police Department has uploaded notification for recruitment of Constable (GD). A total of 2258 vacancies have been released which will be filled through online mode of applications. The online applications are invited from 03.01.2018 to 04.02.2018 on official website www.cgpolice.gov.in. The final selection will be made by evaluating performance in written test and physical efficiency / standard test.